Hyperic is a great solution, monitor, send alerts, respond to events. In our environment, we have installed a huge amount of agents. After the last upgrade our Hyperic 5.8.0 server to vRealize Hyperic 5.8.4 faced the dilemma of how to perform the upgrade previously installed agents? The systems are different (Windows, Linux), also tasks (from a simple check disk usage on server to MsSQL performance metrics). 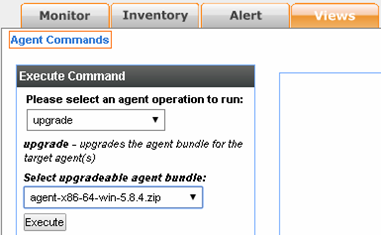 We decided that the easiest and safest way is to manually update the agents from the vRealize Hyperic manager. Upgrade itself is very simple, with just a few “clicks”. Is it worth upgrade Hyperic agent? Definitely worth it, new versions bring with new plugins and extend the capabilities (eg. new performance metrics and new services).